Honestly, the Johnny English franchise is pretty weird. It was 8 years between the first and the second and 7 years between the second and this one, Johnny English Strikes Again. I understand why this got made since Johnny English Reborn managed to make $151 million overseas off of a $45 million budget. This entry, at only $25 million also managed to make a nice bundle overseas while bombing here in the States. Although I do love Rowan Atkinson and think he is a brilliant comedian, I can’t for the life of me remember one thing that happened in the other two movies, yet based on my IMDb, I had seen them at some point. And if what I just watched is any indication, when Johnny English Retribution comes out in 2027, highly doubtful I will remember that came out of this movie. 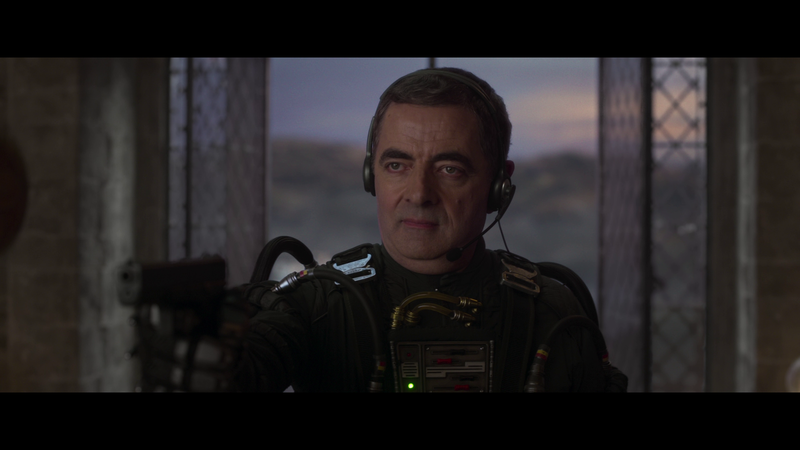 The plot finds the hapless Johnny English (ROWAN ATKINSON), now a teacher at a prestigious private school, called back into action when British computer systems are hacked and secret agents’ identities are exposed. English re-teams with his partner/sidekick Bough (BEN MILLER) as the travel the globe, following clues which lead them to a sultry Russian assassin, Ophelia Bhuletova (OLGA KURYLENKO). 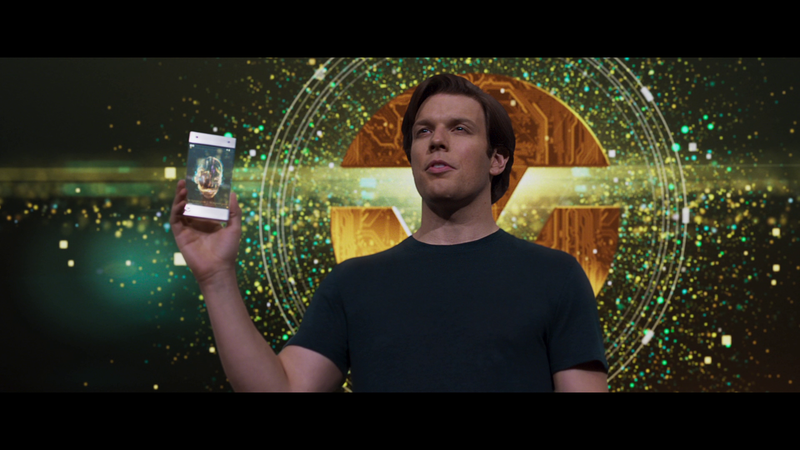 In the meantime, the daft Prime Minister (EMMA THOMPSON), when more and more systems are hacked, goes to tech giant Jason Volta (JAKE LACY) who might be the man to help find the hacker, and in return be in charge of the UK’s entire electronic infrastructure. Any guess who the villain of the story is? Not that it matters, and perhaps to the film’s credit, as the filmmakers thankfully didn’t exactly disguise Volta’s villainy, the only one fooled is the PM, certainly a caricature of Teresa May I’d guess (not entirely steeped in UK politics). As I said at the start, Rowan Atkinson is a brilliant comedian and honestly, although most of the ‘jokes’ don’t really work, or skits I’d call it in some scenes, I can’t imagine how much worse of an experience Johnny English Strikes Again would have been without Atkinson, whom did illicit a few laughs out of me but mostly for his physical humor rather than any scripted jokes. The supporting cast was alright, though nothing exactly noteworthy. Ben Miller returns to his role from the first movie though I don’t remember him at all, but serves as English’s partner well, however he’s not that much more competent of a character. Olga Kurylenko is in fine form with a limited role as a Russian spy, though like Atkinson, doesn’t get a whole hell of a lot to work with. Jake Lacey plays the smarmy rich tech CEO with plans to be tapped in to every government and get a hold of ultimate power. And last Emma Thompson, a wonderful actress, doesn’t get the jokes that land either, but on the other hand, not being a Brit, maybe her Teresa May-like character connects more. 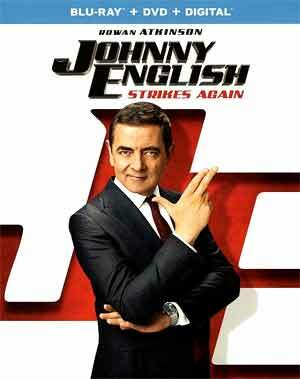 Johnny English Strikes Again was helmed by David Kerr marking his feature film debut but does have a lengthy track record on British television. Again, there’s nothing all that creative both in terms of the direction or the writing with the script from William Davies, who was the original writer of the series (and got a story credit for the sequel). Audio Commentary – Director David Kerr gives a very nice track discussing the origins of the project, filming locales, and some other of the technical details as well as working with the Atkinson and the cast. The Comedy Genius of Rowan Atkinson (4:58; HD) is a profile on the actor from the perspectives by his co-stars. A Cast of Characters (7:12; HD) breaks down the ensemble and actors who portray them. The Johnny English Legacy (5:06; HD) – This featurette looks at the franchise which began in 2003. Virtual Reality Johnny English Style (4:14; HD) breaks down the VR sequence. The Gadgets (6:08) is on the analog tech English uses and his confliction with the digital world. The Cars (5:07; HD) looks at the variety of souped up vehicles used in the film. 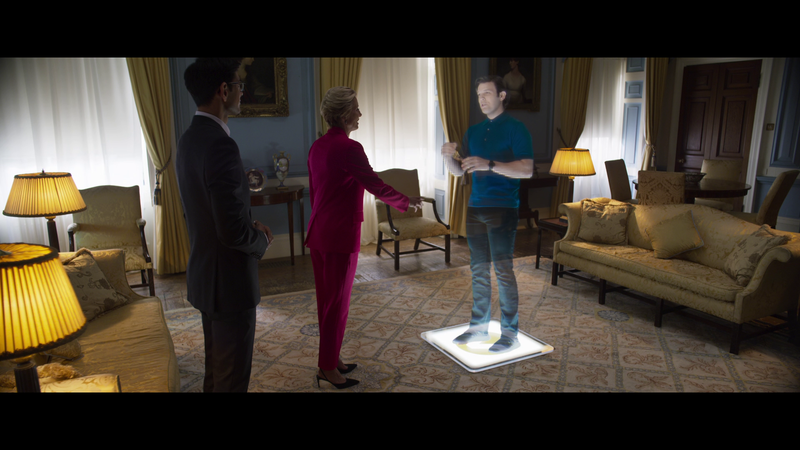 Locations and Design (4:03; HD) – The featurette delves into the production designs on the film. Universal releases Johnny English Strikes Again onto Blu-ray where it is presented in its original 2.39 widescreen aspect ratio. The 1080p high-definition transfer (MPEG-4 AVC codec) looks as good as one would expect from your basic point-and-shoot comedy film with plenty of bright and natural colors, while detail is sharp with no terribly noticeable bouts of artifacting or aliasing. The movie does come equipped with an unnecessarily overly powerful yet robust DTS: X track which does take full advantage of some of the more action-centric scenes. Dialogue does come through the center channel with nice clarity and some good depth, though one instance of an explosion did feel a bit lacking. 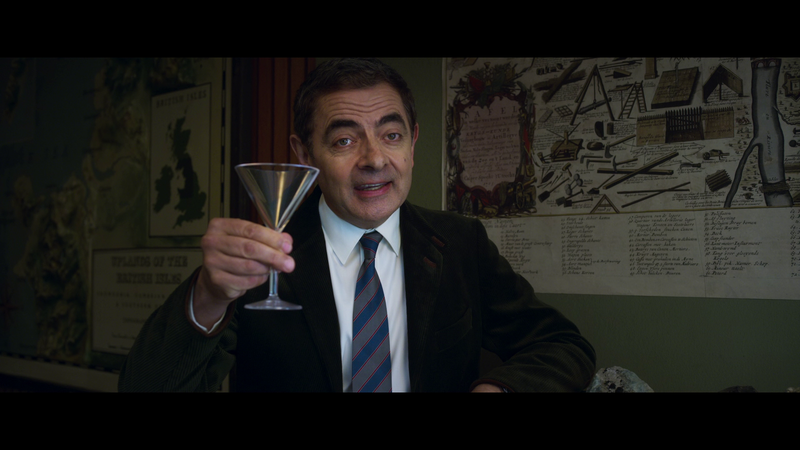 Overall, Johnny English Strikes Again is not a very good movie but at least is tolerably bad if only for Rowan Atkinson’s physical humor more so than the actual jokes, but considering it made bank overseas, there will likely be a fourth entry, hopefully they’ll get a better screenplay. This Blu-ray release offers good video/audio transfers and a so-so selection of bonus material.